Here is a list of a few eco & logical products that have been useful for us and our families. We have no commercial agreements with any company or dealer that sell or manufacture these products and services. A smart and practical solution to the diaper bag. Its round design accommodates squirmy infants and serves as a sleek, all-in-one carrier for diapers, wipes, and even a change of clothes. Patemm.com. These BPA-free trays are very useful to freeze homemade baby food. There are a few brands available in the market. 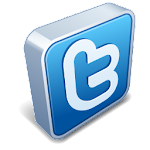 The one we use is from Kidco, Inc. The Beaba Babycook is a one-of-a-kind, compact countertop appliance that functions as a steamer, blender, warmer and defroster to prepare fresh, healthy meals for baby. It starts by steam cooking vegetables, fruits and meats in less than 15 minutes, while preserver their vitamins and flavors. It then purees and blends them to the desired consistency. It can also be used to quickly reheat or defrost precooked foods. A bit pricey but definitely worth it! This placemat is wonderful to keep in your diaper bag. It allows our toddler to have a clean surface to eat from at restaurants. Perfect for travelers as well. It is made of a durable material that can be washed countless times. It stays in place with seven strong suction cups, and it contains the mess with its rimmed edges. The scoop catches spills before they land on the child's lap. After meals, it folds, then rolls into the scoop and easily tucks into diaper bag so it is always available when eating on the go. I'm not sure how many options of brands are available in the market. The one we use is from Kiddopotamus. When we travel, we usually take a few of those containers for the flight and first day, while we are settling in at our destination. We save the containers. They are very useful to store frozen food. The meals are organic, and contains no preservatives, salt, sugar or artificial flavors and colors. God bless who created the Bouncer Chair! That is the best invention ever. Infants and young toddlers can spend hours entertaining themselves in it. One of our best picks for sure! 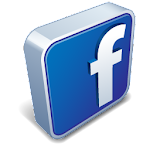 Several brands available in the market. This “all-terrain” type of stroller works really well. It is a bit heavy to take on trips, but a great gear to have in the city. The wheels are big and wide, so riding it on smooth or rough pavements is a breeze. 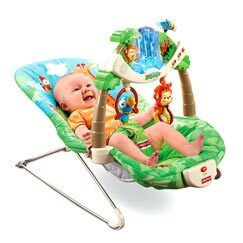 And the suspension keeps the little one comfortable anywhere. Its large canopy protects our son against rain or sun. 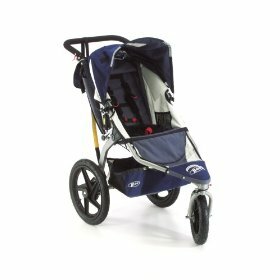 Our Chicco Umbrella Stroller C6 has been to several international and domestic trips. It is light, goes really well at airports, sand, grass, concrete, you name it! It comes with a carry bag with a strap that makes travel a breeze. 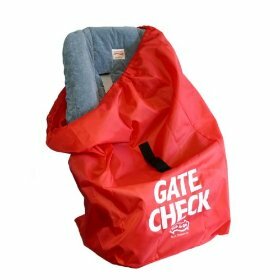 If your umbrella stroller or car seat doesn't come with a gate check bag, you definitely need to buy one before your next flight! Protecting these items from dust, dirt and mold from the airline cargo compartment is a very wise idea. These ones fold compactly to fit in a small attached pouch that's sized to carry in a purse or diaper bag, and they a lot cheaper than branded versions. This potable crib can be easily carried all over the world! 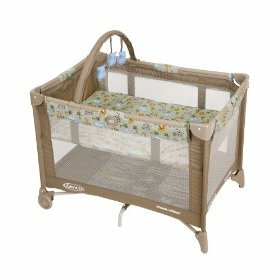 It is also useful at home, serving as a bassinet, in early stages, or a contained space for young toddlers. There are several brands available in the market; Graco's Pack&Play and Baby Bjorn are the most famous. Baby Bjorn is a bit pricey, like all of their products, but claims to be the most portable of all brands. Baby carriers are very comfortable for the parent and the baby, and most important, hands are free! When the baby is a little older and has a stronger neck, the neck rest can be folded down so that the child can face forward and look around. We used it comfortably until age 1. 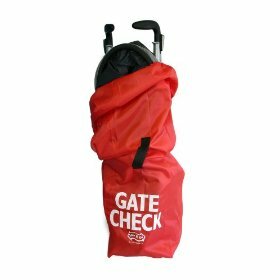 Very useful for walks and trips! Several brands available. 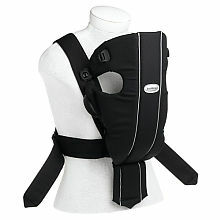 We tested the product manufactured by BabyBjorn . A must for toddlers' parents, specially at airports, parks, museums.... Keeps you, parent, sane! We found that stuff animal harnesses are cute, but the backpack version is a bit more useful.